Putting together a phenomenal two-way season, Bridgewater shortstop/pitcher Tyler Bocock has been named the 2018 MVP. Bocock led or was near the top in almost every offensive category this season, batting .423 with six home runs. His 36 RBIs were the most in the league. In addition, he earned four wins on the mound while finishing the season with a 2.00 ERA, fourth in the league. Bocock’s performance helped lead the Reds to a 21-7 regular season and a second-place finish in the West Division. 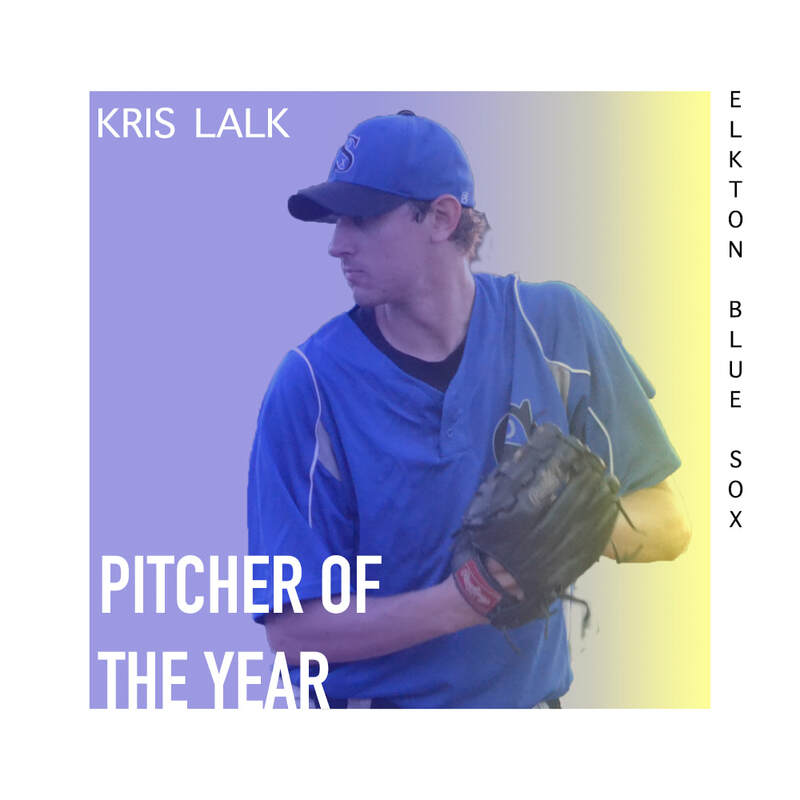 ​In his first year in the league, Elkton’s Kris Lalk has been named Pitcher of the Year. The Colorado native led the RCBL in strikeouts with 87, tying the Pointstreak-Era record set by Nolan Shaffer in 2013. Lalk’s highlight of the season came when he struck out 16 New Market batters on the way to earning a 6-1 victory on July 8. He pitched six games this season in which he struck out 10 or more batters. Lalk finished the season with an ERA of 2.39, good for seventh in the league. 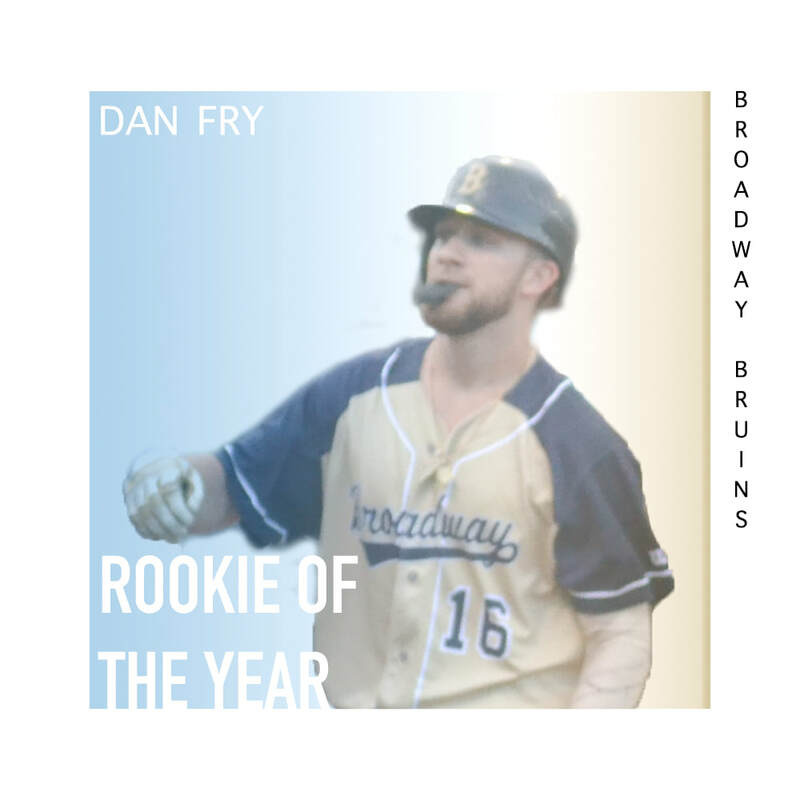 Breaking into the league as part of the young Broadway Bruins, Dan Fry has been named Rookie of the Year for 2018. Fry batted .316 for Broadway this year while hitting four home runs and driving in 26 runs. A product of Allegany College of Maryland, Fry stole eight bases this season, third in the league. ​One of Fry’s many highlights was a 3-for-5 performance in Broadway’s 15-13 comeback win over Bridgewater on July 2. Fry hit the game-winning double for the Bruins before making a spectacular catch in centerfield to end the game. 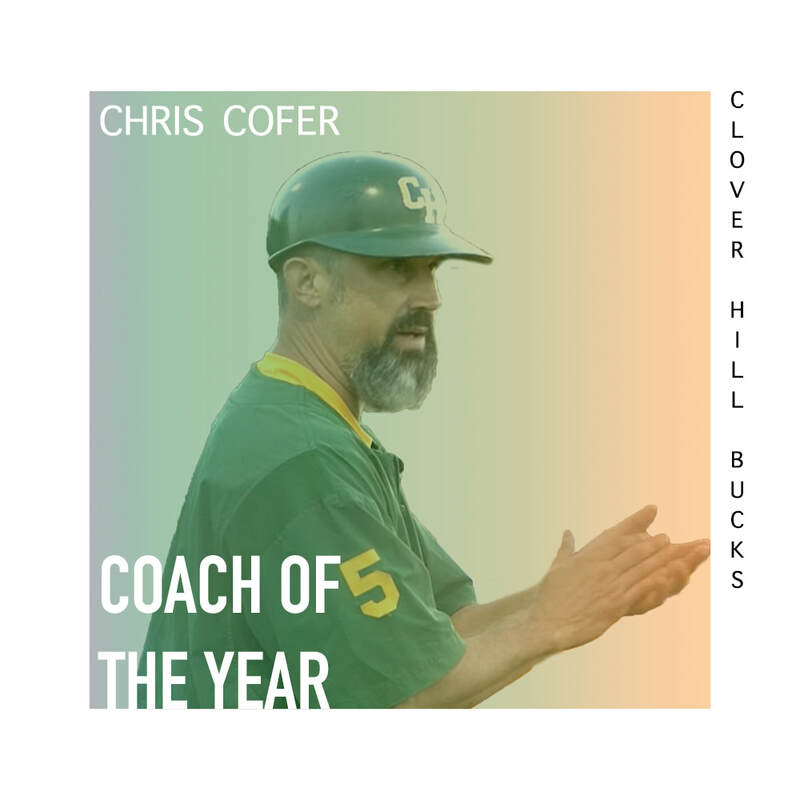 Earning his second-straight honor, Clover Hill’s Chris Cofer has been named Coach of the Year. Cofer guided the Bucks back to the pennant and a 23-5 overall record. Over the past two years, Cofer has helped the Bucks improve from their 2016 season. This year, the Bucks had one of the deepest pitching staffs in the RCBL. Clover Hill led the league with a 3.46 ERA and was second behind Broadway with 250 strikeouts on the season. Nick Corbin, Corey Armentrout and Eric Yankey all finished the season with four wins for the Bucks.